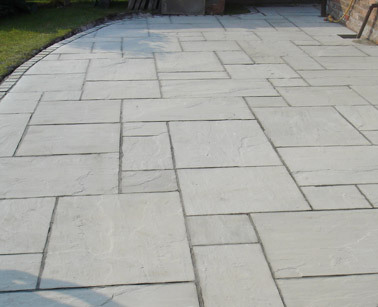 Sandstone is one of the most popular materials for paving. Since it is considered ideal for almost all types of weather conditions, it is extensively used for exterior paving in residential and commercial projects across the globe. In addition to its occurrence in numerous rustic shades, sandstone is naturally anti-skid and easily absorbs moisture, which makes it perfect for paving applications. 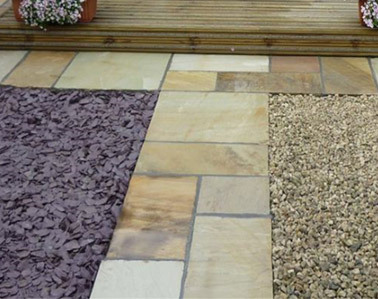 Sandstone paving is quite popular. Sandstone is easy to cut and carve, due to which, it is easy to process at sandstone factories and installed in various areas like gardens, backyards and front yards. India is a leading producer of export-quality sandstone in multiple shades of brown, green, gold, red, black, white and yellow. To get a sandstone product for your paving needs, you can contact the globally reputed sandstone manufacturer and exporter from India – Regatta Universal Exports, which has a more than 17 years of experience in sandstone manufacturing and export of quality sandstone from India to various countries across the globe. It is suggested that you lay out the pavers on grass and prior to building a base, you should finalize the paver layout. 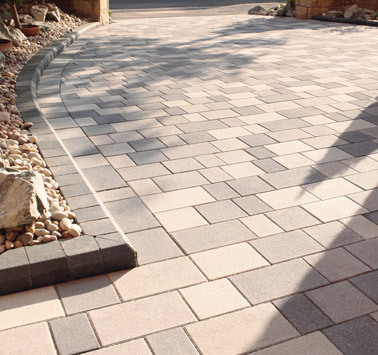 As per your choice, you can either select almost similar pavers or opt for pavers with varying sizes. For a sturdy and rigid pavement, you should begin by covering the border of your pavement layout. 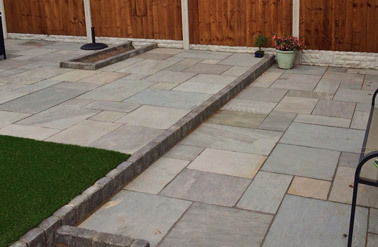 Lay and pack the sandstone tightly in place around the border of the pavement layout. Once done, gradually move toward the centre until you cover the whole layout. Prepare a mixture of Portland cement and just 2/3rd of water actually required for mixture. This should be placed at the base of all sandstone pavers. This somewhat dry cement develops a better bond with sandstone when compared with wet cement. Let the cement-sandstone couple to dry overnight (14-16 hours) to become more strong and firm for a long-lasting pavement. 5. Filling the Gaps Thoroughly: Use the cement-water mixture in the same proportions as described above to act as grout. Press the grout hard to fill in the gaps between pavers completely. Remove all the excess cement from the surface of pavement with a soft wet cloth and then with a dry cloth. These five points will help you to develop a very rigid and sturdy pavement, which is going to last for decades after installation with a little care and maintenance.